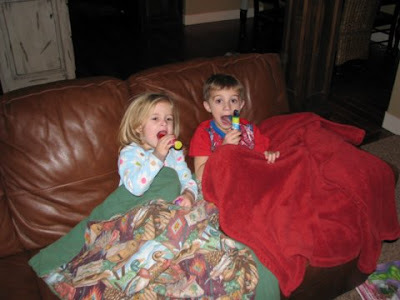 The Olsen Family: Holidays are over!!! 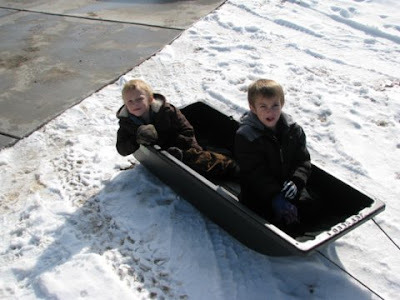 This is Jake and Jace sledding. Max just pulled them around the fields here. This is what santa brought Zoey. 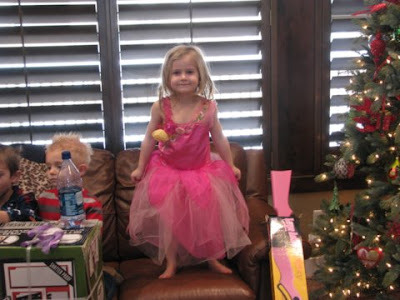 Notice the PINK red rider that Jake picked out for her. 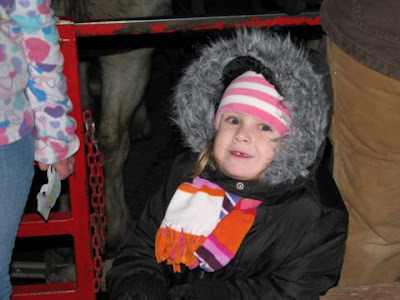 This picture is at Zoeys christmas program. 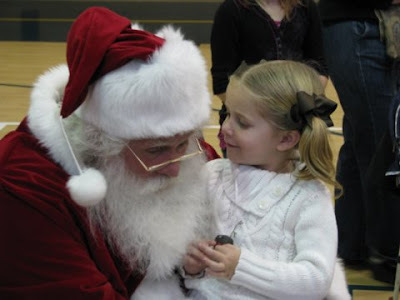 She was so excited that Santa was coming that after the kids were all done singing she took off running from the other side of the gym so she could be first in line . And she was. It was pretty funny. I love that she got that pink gun so classic! 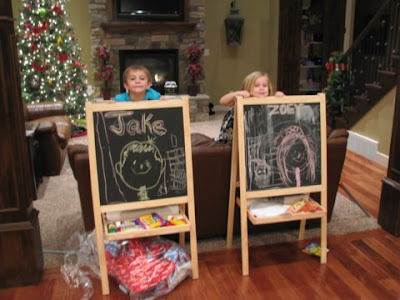 Santa did some good drawings on those chalk boards. wow! Oh my gosh I cant believe she got a pink gun! That is awesome! Love the pics!